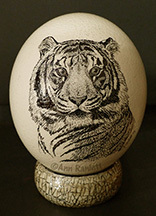 Ann has been drawing animals on ostrich eggs for over 20 years. At anywhere from 4 to 12 eggs per year, that adds up to over 250 eggs! She became involved in this unique craft when she worked at the Sacramento Zoo. 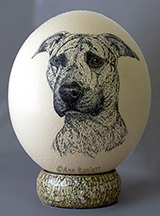 Each year, Zoo staff commission Ann’s illustrated ostrich eggs to be used as prizes at events and gifts for donors and staff. 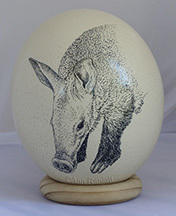 Ann accepts private commissions for her ostrich egg art. 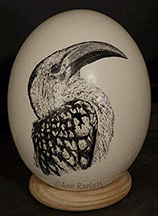 If you are interested in ordering your own one-of-a-kind ostrich egg, please contact Ann for more information. Prices start at $125. See below, or visit Ann’s Facebook album for examples. 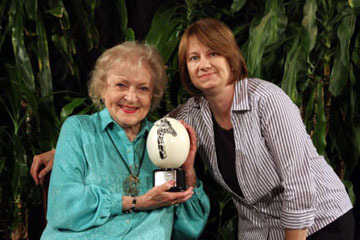 Actress Betty White’s has one of Ann’s ostrich eggs! Staff at the Sacramento Zoo commissioned a giraffe egg as a gift to Betty for her participation in a fund-raiser for the new giraffe exhibit. 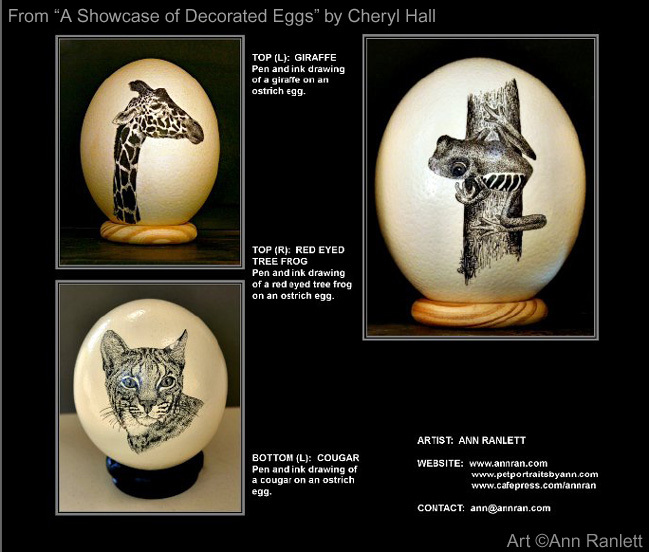 Although the eggs shown below have been sold, they will give you an idea of the variety of Ann’s egg illustrations. Click on any of the the images below to see a larger image. 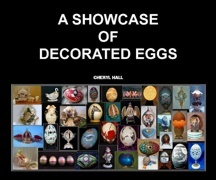 Apologies for the quality of some of the images – ostrich eggs are difficult to photograph! Click on the image to preview/purchase the book.